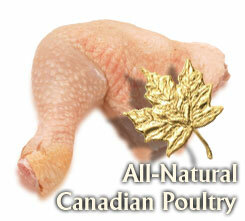 Superior Poultry Processors Ltd. is a Canadian owned & operated Federally Inspected Poultry processing company. It is located in Coquitlam, British Columbia, Canada - which is about 20 minutes east of Vancouver and 1 1/2 hours north of Seattle, WA. From our location in Western Canada we service customers throughout British Columbia, Western Canada, Central Canada and the United States. Also, because of our proximity to the Port of Vancouver and Delta Port in B.C., as well as the Port of Bellingham, Seattle & Tacoma in Washington State, we are strategically located to supply frozen products to many countries around the world.